Application: packaging of Fruits, Vegetables, Flowers etc. 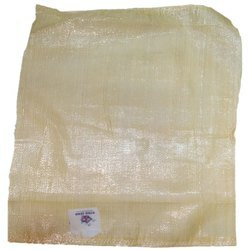 SHAKTI Raschel Leno bags are manufactured from 100% Virgin Polypropylene materials. SHAKTI LENO bags are known for Strength and Durability. Our bags have Attractive , Dark and Shining colour. We manufacture Leno bags for 2ks to 60 kgs vegitable packing. Leno Bags Being Permeable allow the air to pass through the bag Which help to keep the the product fresh. Our Leno bags are developed to the highest standards of quality and exhibit a high level of flexibility and efficiency . Our rapidly growing organisation is indulged in offering high quality of Woven Leno Bags that is available in numerous sizes and delivered in pre-set time frame. Catering to the requirements of customers prominently, we are engaged in offering top class Fruit Leno Bag, which is highly demanded in market. Justifying our reputation in this market, we are readily immersed in the arena of offering to our patrons a range of Leno Bags. 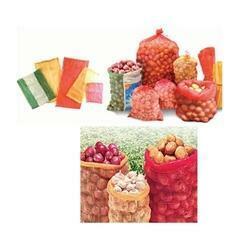 Excellent for packing & preserving vegetables like potato, onion, ginger, garlic, cabbage etc. and fruits like pineapple, citrus fruits, raw mango, coconut etc. Owing to devoted experts, we have been competent to present a wide range of Woven Leno Bag. These products are made as per industry norms and standards. Manufactured with state of the art manufacturing facilities, our wide range of PACKTECH products provide cost effective solutions for storage carriage and protection requirements of industrial, agricultral and their goods.